Taobao Sea (Malaysia) & ShopCoupons.my bringing you the best deals in town! Taobao (taobao.com) is China's renowned online shopping retail platform which is similar to eBay and Amazon which features over 80 million products. From fashion apparel to automotive supplies; you name it they have it! Founded 12 years ago in 2003 by Alibaba Group, today Taobao has close to 500 million registered users with more than 60 million visitors a day. 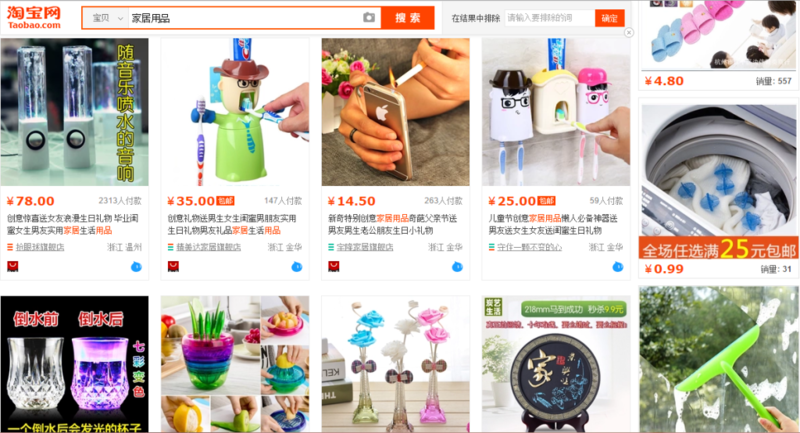 The product listings on Taobao has exceeded 800 million, with 48,000 goods sold every minute. By the end of 2011, Taobao's single-day trading volume reached it's peak of 4.38 billion yuan. With Taobao quickly expanding due to its number of users, it quickly transformed from a single market consumer-to-consumer (C2C) retail site to a comprehensive retail and business district which includes C2C, distribution, sales, and other e-business models. 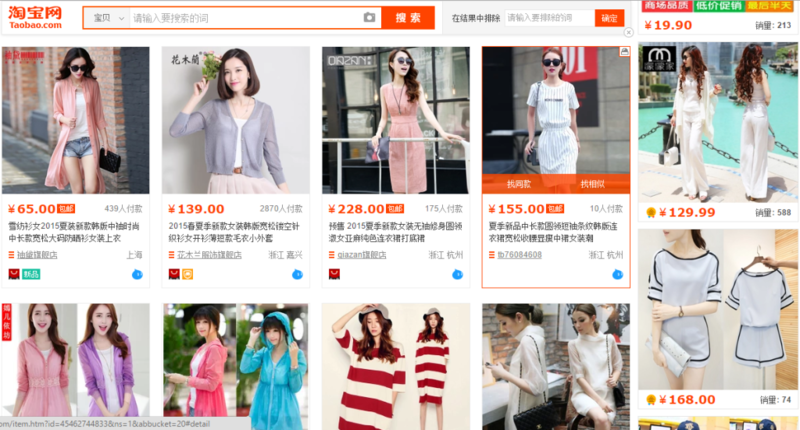 It is safe to say that Taobao has become one of the world's top e-commerce trading platform. 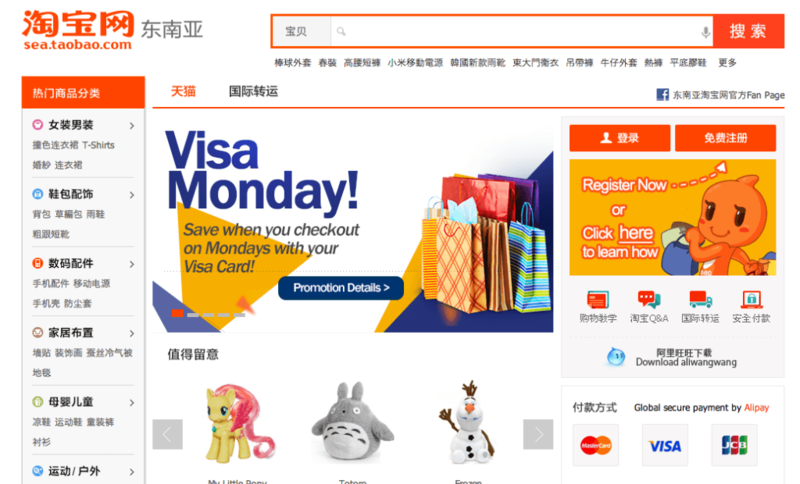 In 2013, Taobao launched a regional shopping site for Southeast Asia known as Taobao SEA as they have a large amount of users in the region. As of 2013, Taobao had approximately 280,000 registered customers from Singapore and 210,000 from Malaysia. Their current office is in Singapore and serves as the company's Southeast Asia hub, catering to its customers needs. Taobao is committed to promoting "genuine, affordable, on-demand" universal cargo net in order for more consumers to enjoy huge and substantial network goods and a higher quality of life. In order to achieve this, Taobao provides a sales network platform and other infrastructure services to help more enterprises develop new markets, establish their brand, and achieve industrial upgrading. Taobao's dream is to help more people achieve employment and entrepreneurship through their network: their goal now is to create 10 million jobs for the unemployed. As Taobao is a well known Chinese online retail platform, this is where China's consumers exchange concentrated global creative commodities among the community. Taobao not only changed the traditional mode of production, but also revolutionized the people's way of living (especially when it comes to shopping and merchandising). An important factor which contributed to the success of Taobao is the "Taobao Generation (???)" - used to describe our tech-savvy generation. Taobao believes that the Taobao Generation have respect for fashion and personality, are good at communicating with an open mind, possess rational thinking, and are not easily taken advantage of. In return, Taobao allows consumers to have an experience like no other, and the Taobao generation are enjoying it. 12 years into the business, Taobao has become a veteran in its field and has evolved over the years due to threats from fierce competitors as the world of e-commerce quickly became more widespread and accessible. It is at Taobao where one can find great bargains and the latest fashion trends led by the strong Taobao Generation community. Unsurprisingly, Taobao is not only famous in its homeland of China, but is fairly renowned in other parts of the world such as North America, Europe, and India. During the 11.11 sale (11th November 2014), Alibaba broke the sales record when they exceeded 10 billion yuan within the first 40-minutes, making Taobao and Tmall known all over the world. The shoppers were not only from China, but from 175 countries worldwide. What Can You Buy At Taobao SEA? Taobao SEA has anything and probably everything you will ever need, from fashion apparel to automotive supplies. As we all know, most (if not all) women love shopping. Combine this with lounging about in the comfort of one's home without needing to spend additional cash on parking free, fuel, meals outside, etc., and you have yourself a very satisfied woman shopping digitally in her cozy bedroom. Probably a few of the most searched apparels on Taobao SEA would be bridesmaids dresses, bikinis, and dresses, whereby one could definitely find an apparel to suit her liking. Other popular search items include bags, books, and electronics (mostly mobile devices). Spoil yourself silly with the amount of choice available to you! Clothes, jewelry, beauty products, household items, automotive supplies, electronics - basically anything you can think of - can be found with ease here. If you have a thing for novelty items and collector's items, Taobao SEA has them too (as shown in the image above)! Say, you have been looking everywhere for that perfect graduation attire, Taobao will come to the rescue with its vast variety of outfits and dresses promised to leave you spoiled for choice. 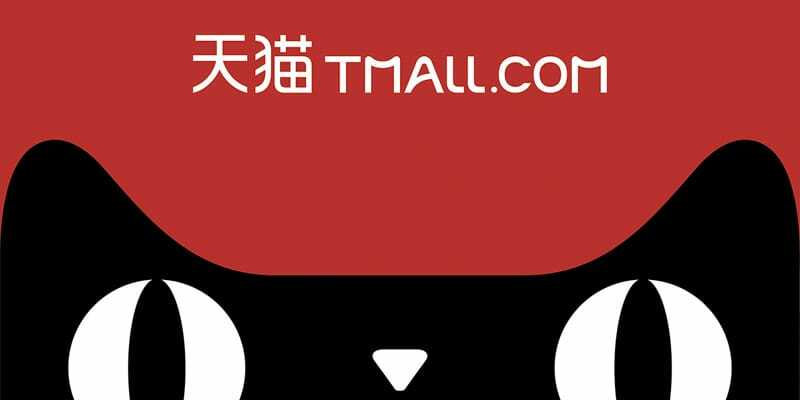 Tmall was introduced in 2008 as Taobao Mall and was later launched an independent domain in 2010 with it's current name. Like Taobao, it is an online shopping website - just a more premium one at that. Unlike Taobao, Tmall is a business-to-consumer (B2C) platform which focuses on providing international and local Chinese businesses the opportunity to sell branded goods to consumers in China, Taiwan, Hong Kong, and Macau. Among the many international brands available at Tmall are Philips, Sandisk, Nike, Adidas, Uniqlo, and many, many more. In the year 2012, Tmall officially changed it's Chinese name to Tian Mao (?? ), which translates to "sky cat" in the Chinese language. Hence, the black cat as Tmall's mascot. How does ShopCoupons.my help you save at Taobao SEA? Thanks to our close relationship with Taobao SEA as a merchant in our website, we are able to provide you with the best and most exclusive Taobao SEA discounts, promotions, coupon codes and voucher codes to assist you with your shopping while saving at the same time. What you have to do is to always remember checking our website for the best codes as we are constantly updating the best of the best deals right here at ShopCoupons.my! Shopping at Taobao can be tricky (especially if you can't read Chinese) and people can be skeptical about their items. Are the items going to arrive? Will the items look exactly as they do in the pictures? Will the quality be guaranteed? These are a few of the famous questions asked by consumers when shopping - not only at Taobao, but at any online webstore. To give you a little hint on what to expect and a few tips on how to purchase items there, check out this informational video by abrushofbeauty otherwise known as Sherry W.